When arrested for driving under the Influence of either Drugs or Alcohol within the city limits of Redmond you will likely be taken to the Redmond Police Department to go over the implied consent paperwork and breath testing. Once processed, you will usually be released without a court date. However, a summons to appear in court should be expected in the mail soon after..
Redmond Courthouse is located at 8601 160th Ave. N.E., Redmond, WA 98052. The court in Redmond services all Misdemeanors and Gross Misdemeanors that occur within Redmond. If you have been arrest for DUI by a Washington State Trooper on I-405 North of I-90 you case will likely be held at the King County District Court- East Division at the same Redmond courthouse. The Redmond City DUI cases will be handled by the Redmond City Prosecutors. King County cases will be handled by the King County Prosecutor’s Office. The Redmond Courthouse consists of four courtrooms, so it is possible to get confused with which room your case is in. Luckily once you pass through security, straight ahead there is an electronic board that will have your names listed and the courtroom you are in. All courtrooms are fairly busy, and the King County District courtrooms are especially busy. Once you arrive your attorney should check in with the prosecutor, the earlier you get to court the faster you will get out. Once, the judge takes the bench; he or she will call the calendar and see who is present. Then the prosecutor will begin to call cases. Once your case is called, you will walk up with your attorney to the table on the right-hand side. Generally, everyone at arraignment enters a plea of not guilty. The judge will then determine the conditions of your release. Judges often rotate in Redmond, so it is a good idea talk to you attorney before arraignment. Your conditions of release even on a first offense can be stringent. Once conditions of release are set you may select a pretrial date, usually the dates are listed at the clerk’s table. Several things can happen at a DUI pretrial, so it is important to stay in contact with your attorney so that you are prepared. Generally between arraignment and pretrial your attorney would have investigated your Redmond DUI case and negotiated with the City’s or County’s prosecutor. Change your plea: Your attorney may have able to negotiate a favorable deal with the prosecution. This may be a reduction for the DUI charge or some other arrangement. If The DUI charged is to be reduced you will likely have needed to complete a drug and alcohol assessment. If your attorney does not have an assessment in hand that day your case will be continued for sentencing, which means you will have to come back to court. Motions hearing and trial: If no agreement is reached you may want to set your case for motions and trial. Your attorney will execute a pretrial order and file a written motion along with an affidavit stating the grounds and legal argument of the motion. The attorney will get motion hearing dates from the clerk and present the pretrial order to the judge. The judge will likely sign the order and motion hearing and trial will be set. Continuance: Often in a DUI case there will be several pretrial continuances allows for additional investigation and/or negotiations and/or several other various reasons. As long as all parties agree to the continuance, and a time for trial waiver is executed by you, generally the judges don’t mind multiple continued pretrial. At the DUI motion hearing, it will be the first time your attorney will be able to question the police officer or trooper. It is also an opportunity for your attorney to attempt to suppress evidence and/or move to dismiss your case. It is not uncommon prior to the motion hearing for your attorney to continue to negotiate the DUI case with the prosecutor. Depending on the outcome of the hearing, your next court date may be jury call. The Redmond City or The State’s case – Generally the government’s witness are the police officer, the breath test technician and a toxicologist. Your attorney will cross-examine the witnesses as well. The Defense case – You will call witnesses if you have any. It is the government’s burden to prove all elements of the Redmond DUI against your beyond a reasonable doubt. You have no obligation to call witnesses or testify. However, often an expert may be called as a witness by the defense. 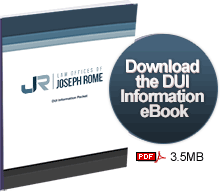 This was just a general overview of the Redmond DUI process. Please contact us with any specific questions or concerns you might have. Any information here does not substitute the value of meeting with and experienced Redmond DUI attorney and went over the details of your case. No two DUI cases are alike, and it is nearly impossible to predict fully what the court process will be without knowing the details of a DUI case.